Meeting someone for the first time after having met online is bound to make you feel nervous, whatever your age or stage in life. You may feel anxious and wonder if your relationship online will match up with “real life” interaction, and worry about whether there will be any physical attraction and great chemistry. You may be worried about getting back into the dating scene after some years or decades away from it, and whether previous relationships might have an effect on how you form new ones. These are normal and healthy concerns, and the best way to combat them is to do a little mental preparation before the first date. 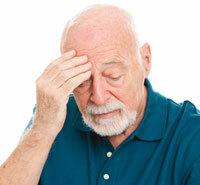 You might feel anxious about starting a new relationship, but as a senior you have a tremendous advantage – maturity. You are a step ahead of where you used to be, you are well experienced and any mistakes you may have made in the past will only have made you wiser in the field of relationships. Before you set out to meet your date, remind yourself that he or she is already interested in you – otherwise you would not have agreed to meet up! From chatting online, you have probably gotten to know a little about each other’s preferred pastimes. To help break the ice, try to think of an activity that you will feel most comfortable with and will not be forced to talk all the time. Any kind of activity, even one as simple as strolling through the park, introduces a sense of experiencing something together, and helps to avoid forced conversation. 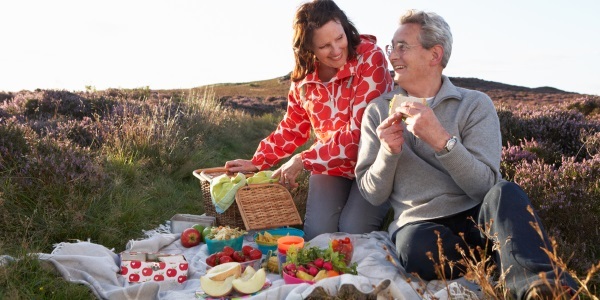 Some senior date ideas include taking a picnic to a beautiful spot, visiting a museum or gallery, browsing a market or going to a talk on a mutually interesting topic. If you would like your first date to center around a meal, consider combining it with some other activity to go on before, that way you can talk about it while you eat. If you think it might help, take a look at the menu online before you arrive so that you can relax without having to think too much at the start of the date. Make the primary goal of your first date simply to have a good time. Be yourself, try to feel natural and see if there’s chemistry building up. You don’t have to decide on the first date whether this is the man or woman of your dreams. Just focus on what you have in common, take it slowly, and keep an open mind. If it turns out that you don’t want to pursue the relationship any further, at least you’ve met someone new, learned a bit more about what you want in a partner, practiced your dating skills and had some enjoyable experiences. No matter your age, there are always joys to be experienced on the dating scene. Online, the choice of free dating sites for people over 50 allows you to find your most comfortable way of searching for a potential senior date, whether through tailor-made sites geared to matching up senior people, or through popular dating sites that have wide user bases. When the time comes that you feel ready to try an offline relationship, these tips should help you at the very least to enjoy some time with each other – and hopefully find the lasting relationship that you are searching for. Planning your first date? Check out the tips and guidance provided by senior dating sites such as OurTime.com.